Whether it’s at Coachman’s, Penny Ann’s Café or IHOP, pancakes for dinner is the ultimate affront to American suppertime tradition. Forgoing the burgers, steaks, pastas, pizzas and chicken wings (and even the salads) of the menu world, you were bold enough to embark on a journey, albeit it late in most people’s eyes, that few have the courage to undertake. Welcome to the club. You, my friend, are an outsider. They reside in a realm that incorporates old-school boom-bap backpack production and complex rhyme schemes with contemporary trap 808s with slow BPM, rapidly paced hi-hats and chanting hooks. Their moniker fits them pretty well. They blend the two styles without fitting into either category fully. No matter the instrumental sound bed, the content is heartfelt and genuine, meant for their own catharsis as well as the mental well-being of their listeners. Pancakes for Dinner features Utah emcees such as Dumbluck, Erasole James, Burnell Washburn, Rhyme Time, Rayd and more. It’s powered by bangers like “Werk,” “B.I.Z.,” “Kingship” and “Gifted.” “Werk” is probably the track that most signifies what the group represents musically and morally (with “Call It” being in the race, too). The sound is spooky and somewhat somber, but doesn’t take a depressing tack on the subject of gettin’ busy. 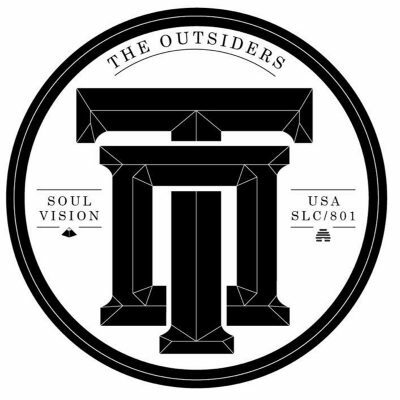 Rather, The Outsiders use the three-minute track to motivate their listeners and help get them on their grind. Despite the obvious trap influences, they don’t use rinsed “aye” and “yeah” ad libs for timing and emphasis, instead using their rhetoric to get their point across.